I used to have this lucky rock and I used to always have to rub it three times before I competed. I wake up at about 9 a.m., and have a few hours of school or time to relax. Then, I have practice at 2:30 p.m. with my team. I’ve learned how to stay humble. I don’t want to get in over my head because when you do that it takes you off your game. I just want to continue with gymnastics because I’m still young and fresh. I think can get some more titles under my belt. I think I would go for a Michael Phelps kind of guy. I wanted to tell my story and where I came from and my background, because it was not easy. I’m not gonna lie, I love Usain Bolt and Serena Williams. What I love about Serena is that she just gets on the floor and she dominates. She handles her business very well, I respect that. I would love to be a role model. I’ve been on a tweeting mission. I give all the glory to god. The glory goes up to him and the blessings fall down on me. 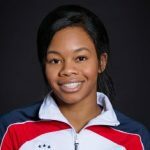 Gabrielle Christina Victoria "Gabby" Douglas was born in Virginia Beach, Virginia, USA. She is an American artistic gymnast. 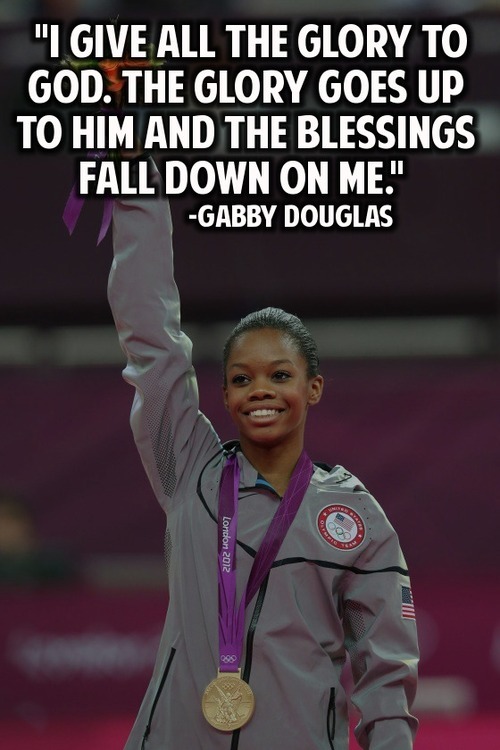 She was a member of the United States women's national gymnastics team, dubbed the Fierce Five by the media, at the 2012 Summer Olympics, where she won gold medals in the individual all-around and team competitions. She was also a member of the gold-winning American team at the 2011 and the 2015 World Championships.